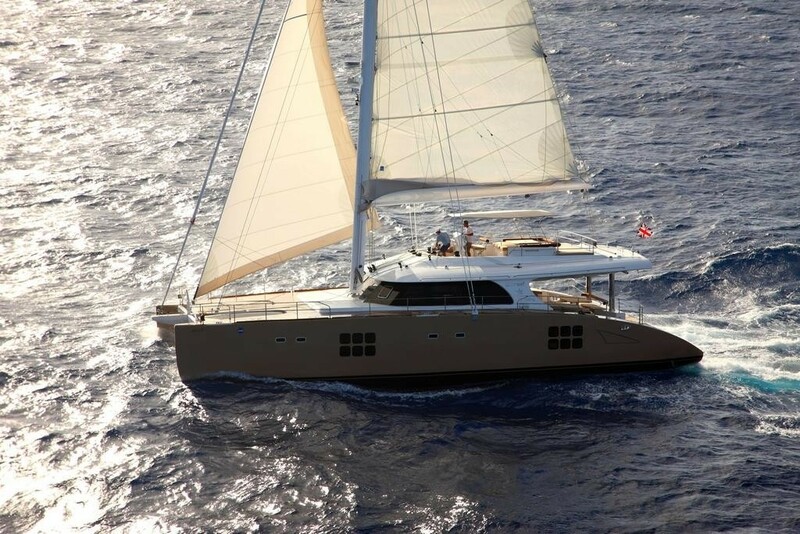 Luxury catamaran SEAZEN II is a 2008 Sunreef 67’ sailing yacht and she is available for charter for up to 8 guests in the Mediterranean Ocean. 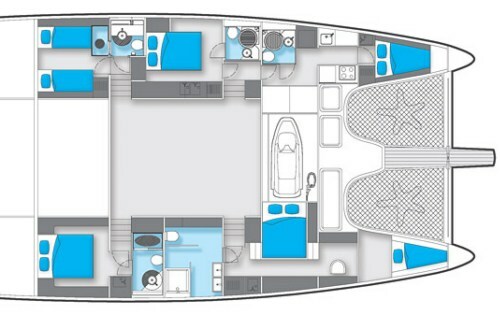 Offering huge space inside and out the Sunreef 67 is a stylish and functional yacht, ideal for relaxation and entertaining fun. 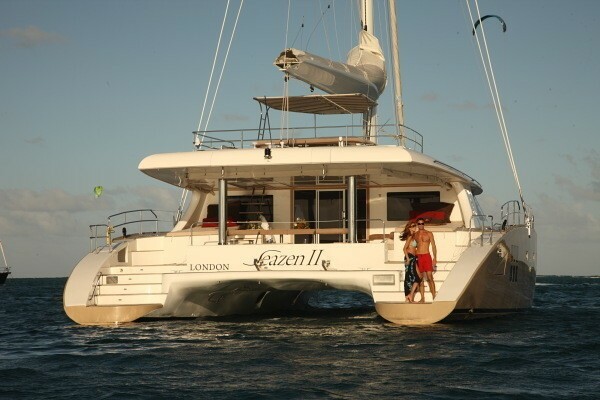 Yacht SEAZEN II will be the first Sunreef 67' offered for charters. 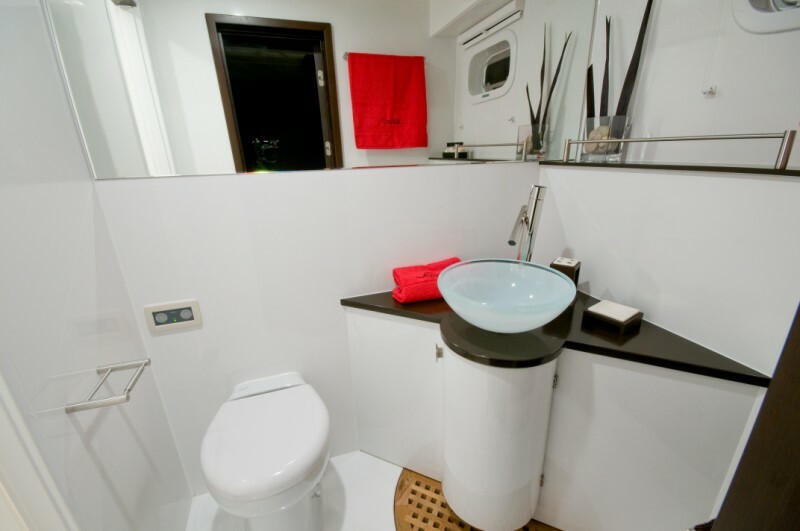 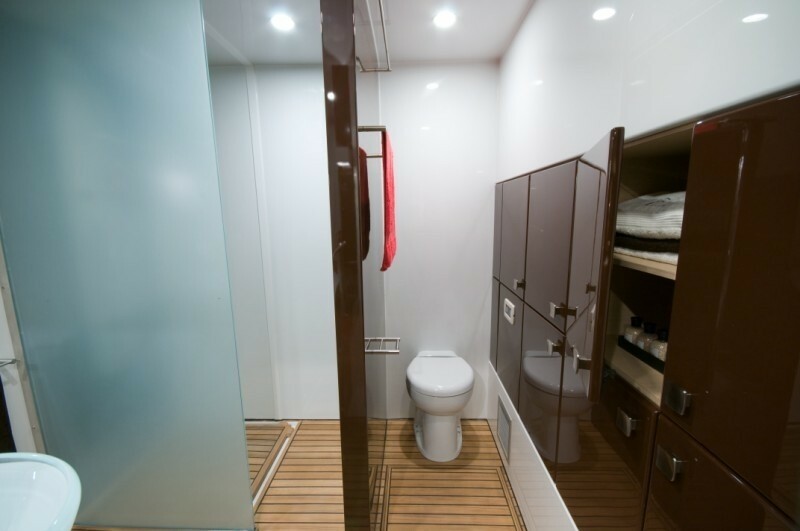 Exceptionally spacious and wide, with new layout arrangement, this modern luxury catamaran can easily accommodate 8 to 10 guests in 3 double cabins and 1 cabin with innovative four folding beds system - excellent solution for children. 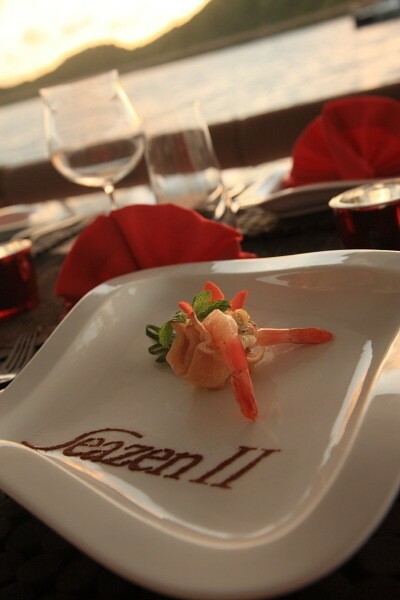 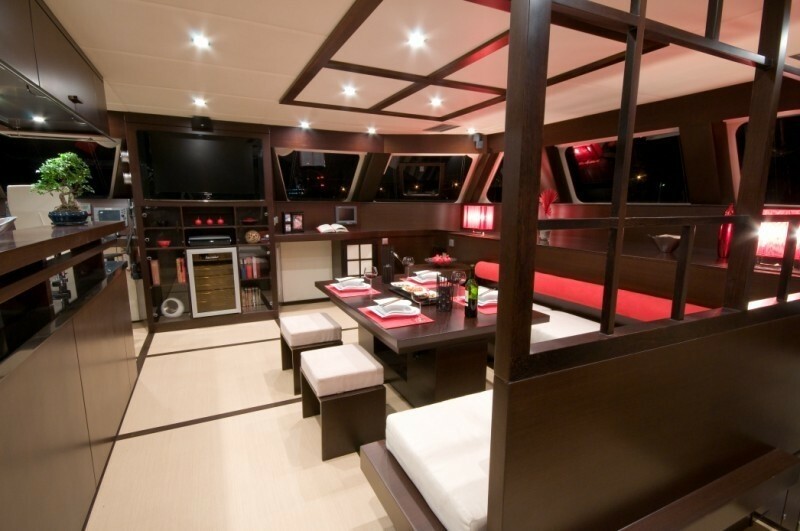 Especially requested by the Owner, sailing yacht SEAZEN II offers a Japanese style, the essential aspect of which is the simplicity and minimalism. 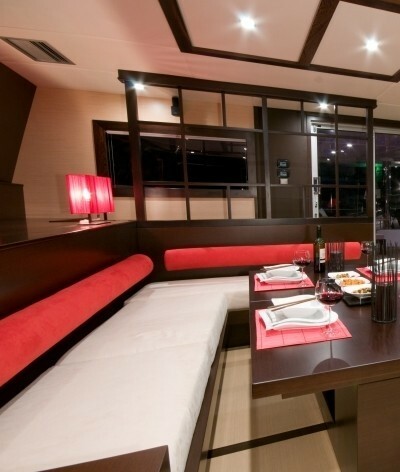 Frugal forms are kept in brown and cream with touches of muffled red. 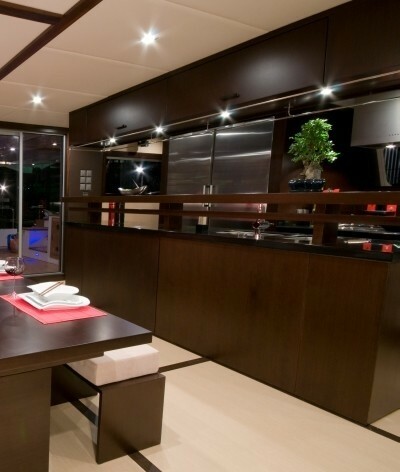 Visible structural geometry is achieved by the combination of the traditional layout of Tatami mats and decorative elements imitating indigenous Shoji screens and sliding doors. 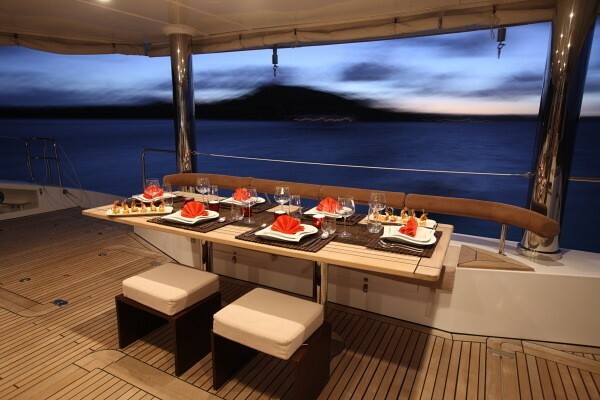 The Sunreef 67’s overall scheme is accentuated by the horizontal line of arranging the furniture: low-level tables and bar, surrounded by separate sitting cushions placed in wooden frames, platform-like simple beds. 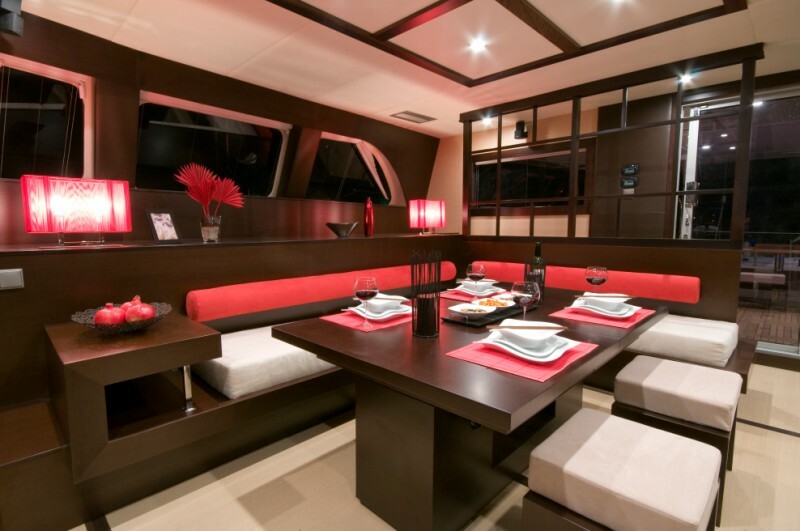 Sparse and carefully selected decorations greatly replenish this posh, yet minimalist interior. 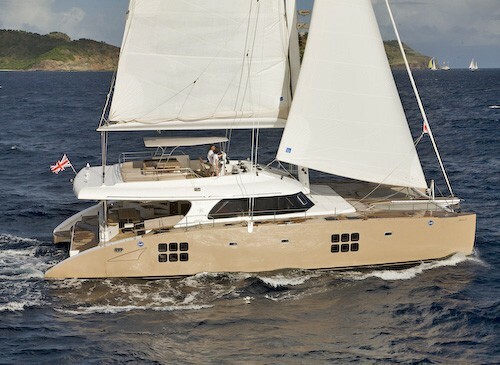 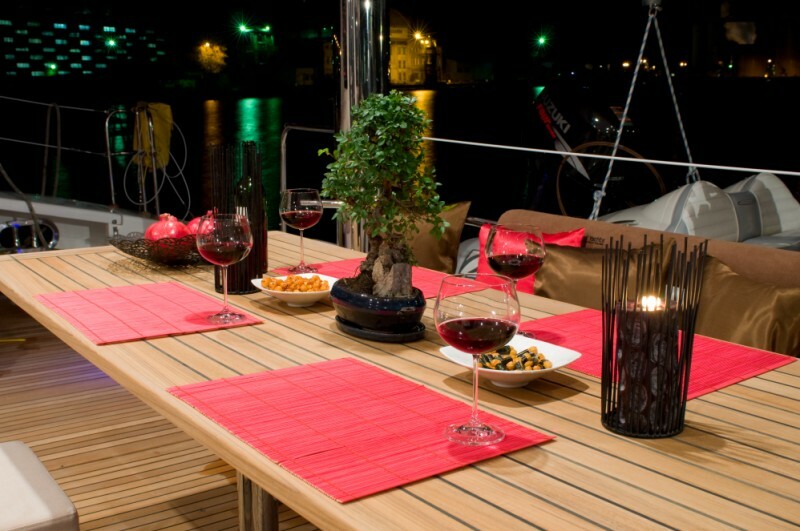 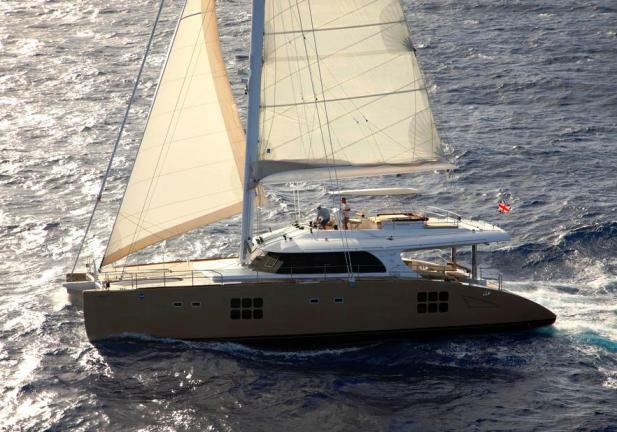 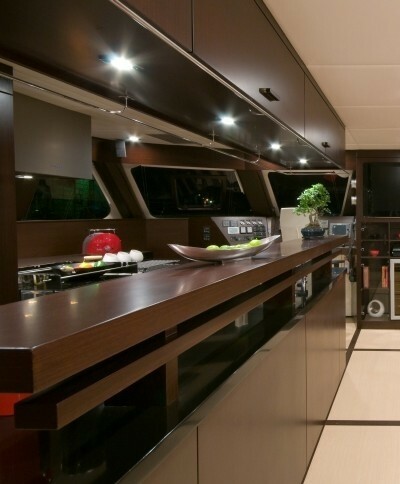 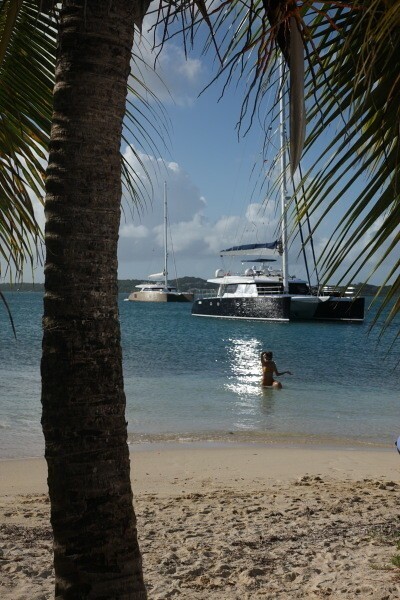 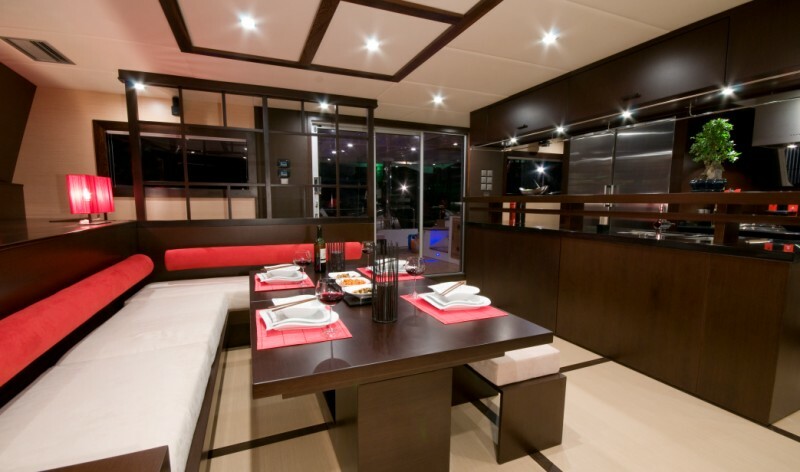 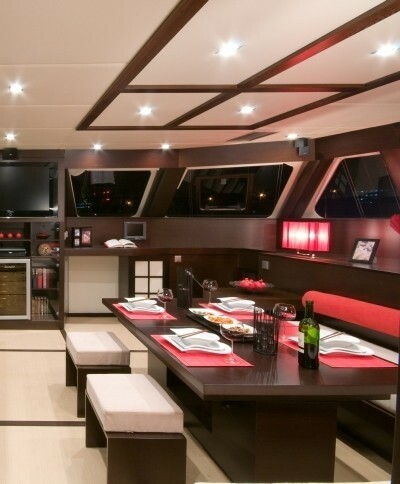 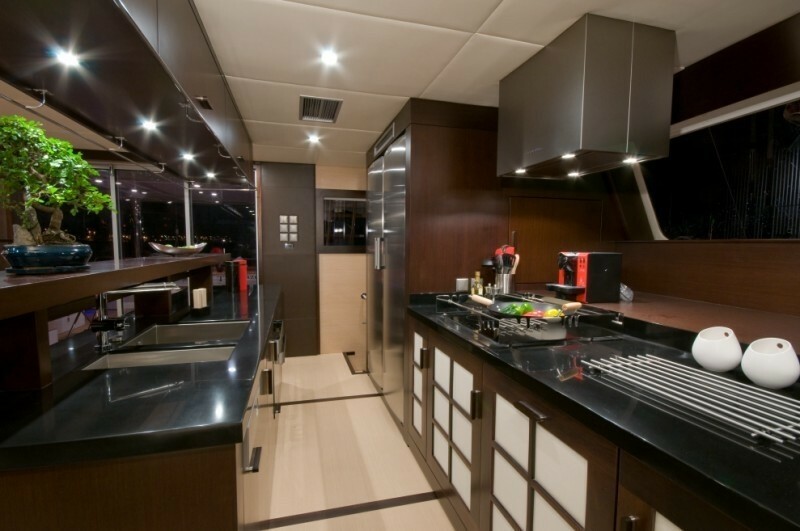 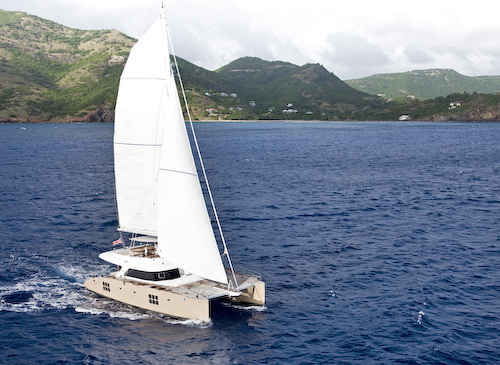 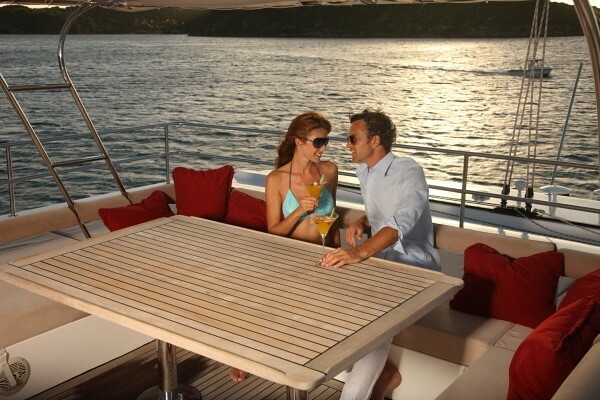 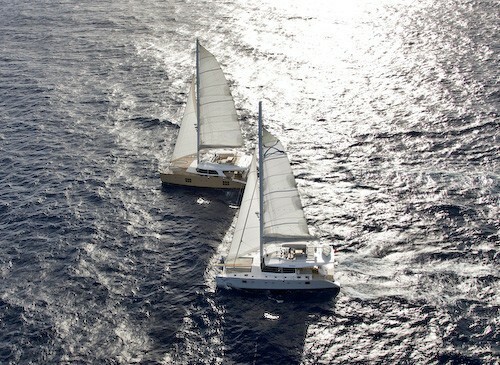 The Sunreef 67 luxury catamaran provides luxurious and comfortable yacht charter vacations. 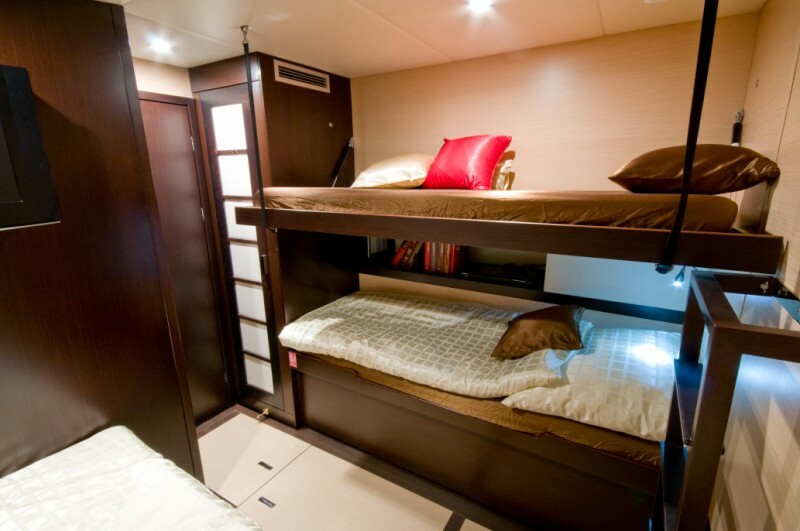 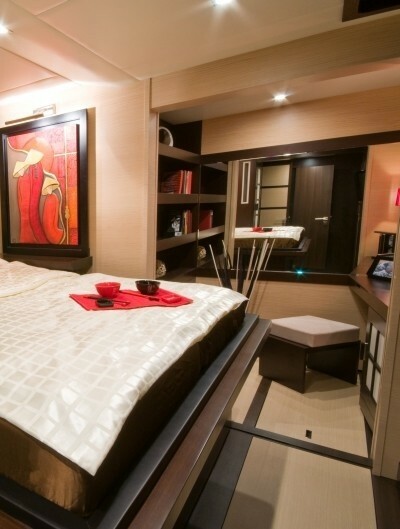 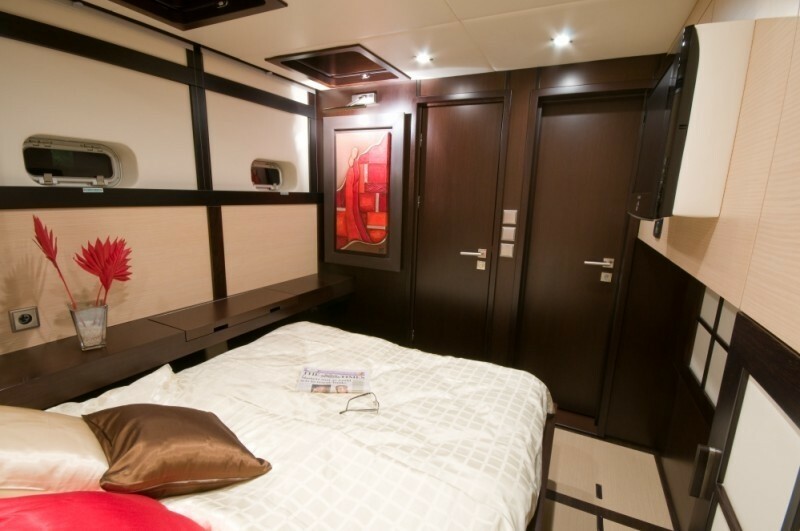 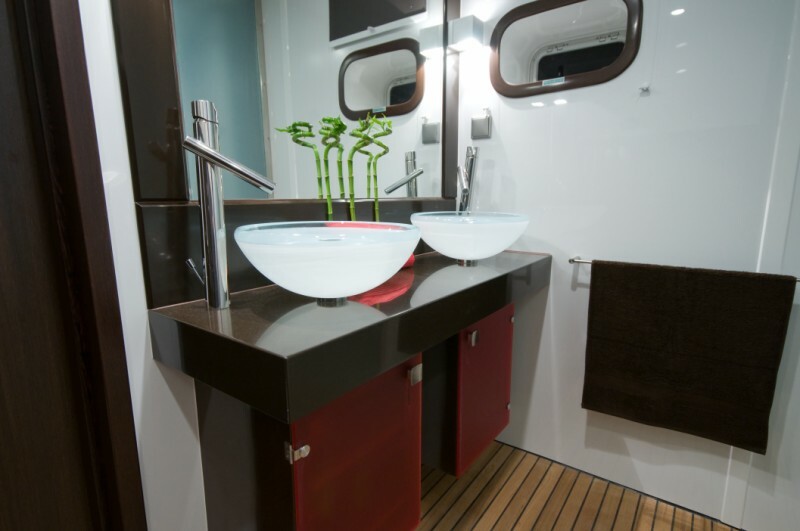 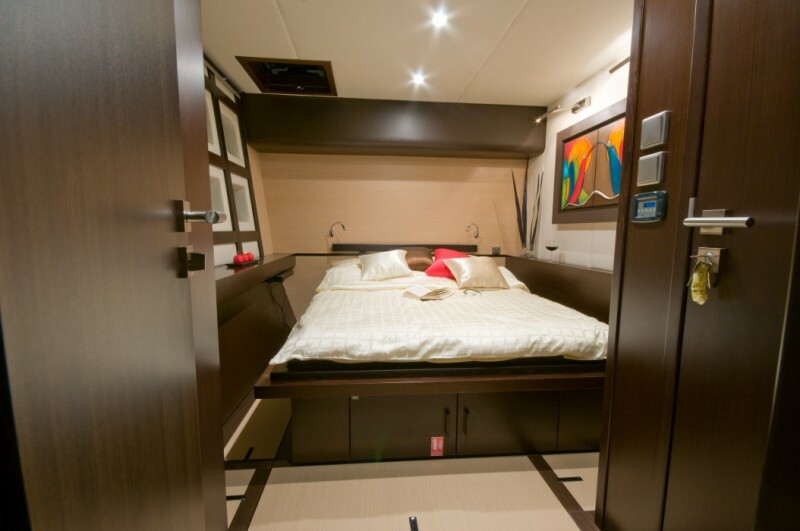 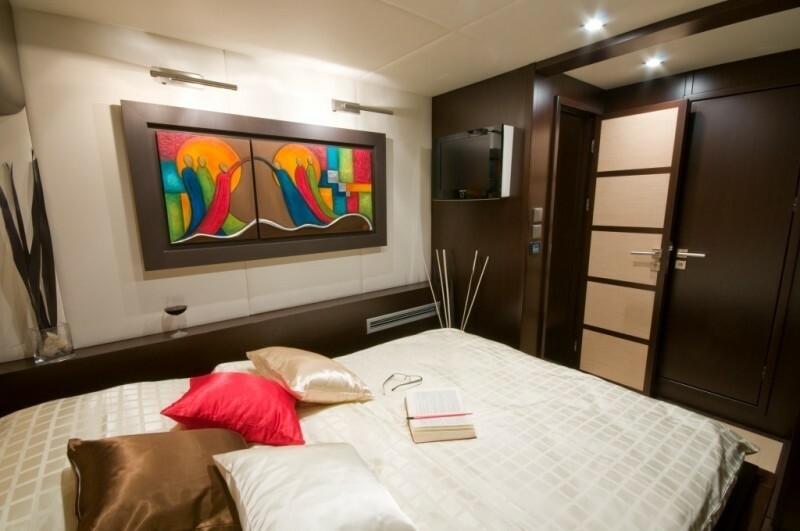 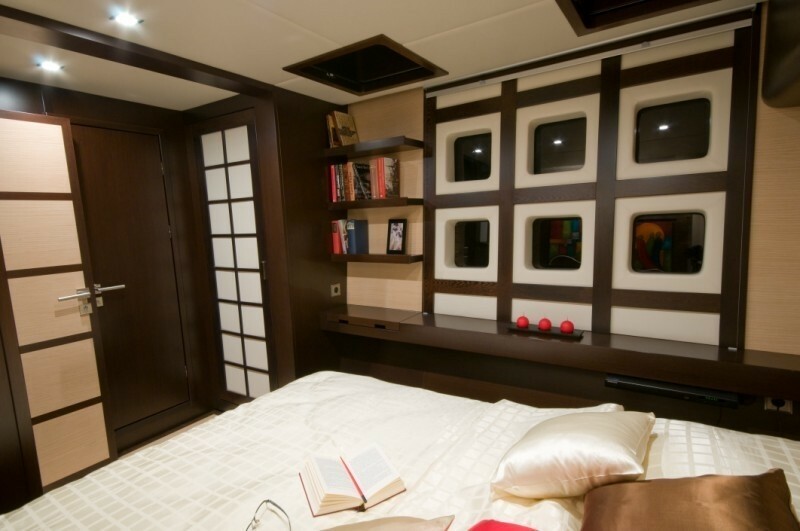 Luxury Catamaran SEAZEN II accommodates 8 to 10 guests in 3 double cabins and 1 cabin with innovative four folding beds system - excellent solution for children. 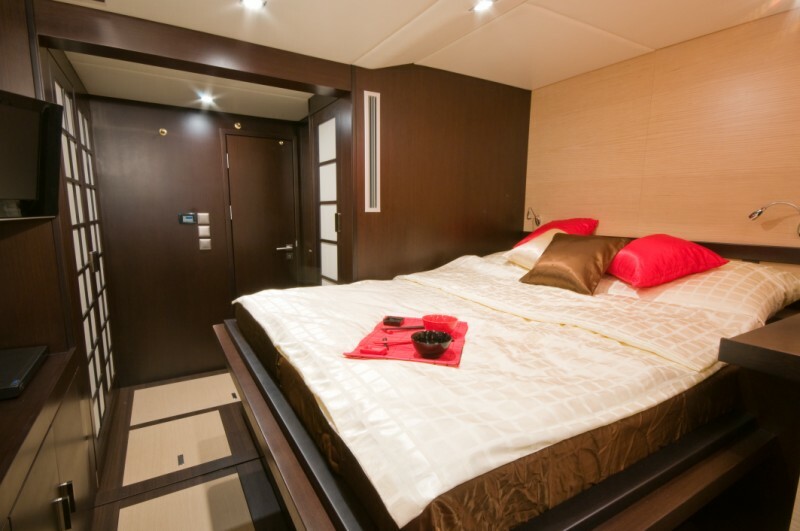 Leisure equipment onboard SEAZEN II includes a Yamaha GP 1300R jetski which is extremely rare for a sailing yacht of this size. 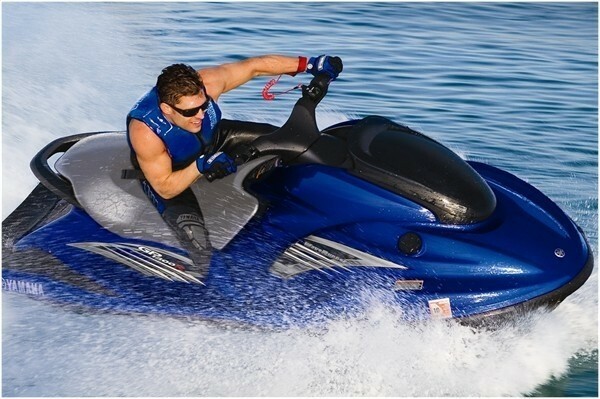 They also have a dinghy, water skis, wake boards, masks and flippers.